In a world where most anything can be found online, it is important to be aware of your social presence not only on a personal standpoint but a professional stand point as well. That first impression can make a huge difference in whether you will land the job interview. Consider what someone may find when they search for you on the internet. Ask yourself, what picture of me is going to pop up when an employer is searching for me? Is this picture what I really want my future employer to see and does it represent who I am on a professional level? It may be time to consider getting a professional headshot done. Here are some things to consider when getting your photo taken. We all spend most of our time at work, so it is only natural that friendships are established in the workplace. Usually these relationships develop with co-workers, but when it happens between a boss and subordinate, things can get tricky! Being friends with your boss comes with a unique set of boundaries that should be observed. The number 1 thing to remember is – He/She is your boss first, and your friend second! 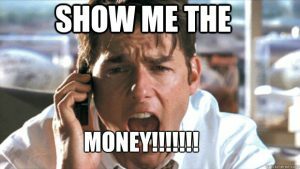 How are Headhunters Different from Recruiters? 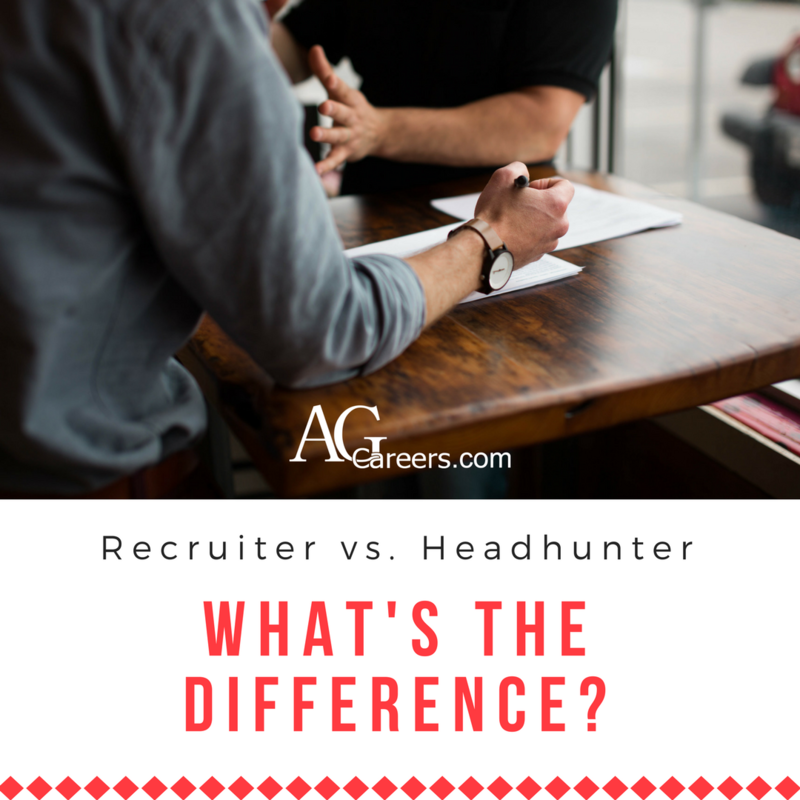 The terms “recruiter” and “headhunter” are sometimes confusing to folks outside the human resources realm. What do they mean? How do recruiters vs. headhunters compare? When contacted by a recruiter or headhunter, how do you know if they have your best interest at heart? Are they working for the employer you are hoping will hire you? Or are they an outside recruiter who is representing you to the employer? What’s in it for them? 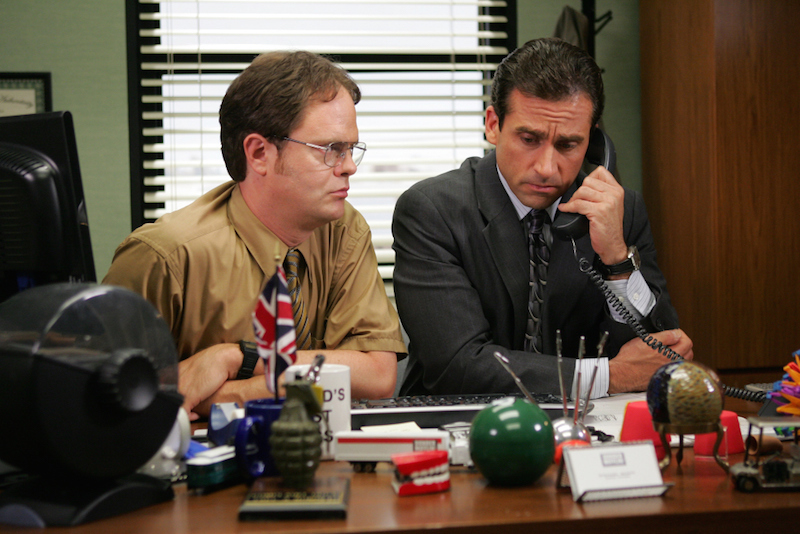 Basically, there are two types of recruiters: internal recruiters and headhunters. While both are typically referred to as recruiters, there is a big difference between them. Knowing the difference between recruiters vs. headhunters can really help as you seek your next career move. If contacted by a recruiter who is on staff with an employer you are hoping will hire you, they are considered an internal, or in-house, recruiter. As part of the talent acquisition team or HR department, every interaction the internal recruiter will have with you is part of the evaluation process for the role they have in mind for you. They are working through the hiring process to assess you and move you to the next step in the evaluation process until that position has been filled. The internal recruiter likely became aware of you through an application you submitted to the company or they located your profile on a job board. Your communication with that internal recruiter is typically more formal in nature, and rightfully so, as everything you say and do really matters towards that single hiring outcome. With each communication, the internal recruiter is assessing you for fit – not only for a particular role within the company, but also for the company’s overall culture. I suppose it’s time to take my own advice from this blog to update my resume and online profiles! NO, I’m not looking for a new job, but I’ve realized my descriptors are tired, overused, and dated. Updating your personal introduction, social media profiles, resume or CV should be completed on a regular basis, even if you are happily employed. If you’re actively job searching, it can make all the difference if you delete old phrases and resume cliches and add a few powerful, action words. 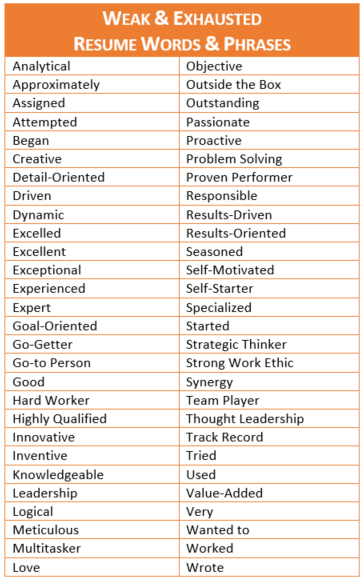 Even though it may still fit, my “dynamic and driven professional” descriptor has evolved into a group of resume cliches. You know, those buzzwords that have become abused in the workplace? Synergy. Team effort. Strategic. Innovative. The words we are guilty of overusing in everyday life and conversations: excellent, very, good, love, great…and the list could go on and on. Chances are if you’re in the market for a new job, you’re looking to bring home a decent paycheck, with a few extra perks, right? While compensation isn’t the only reason folks job hunt, it certainly plays a part in the position someone might accept. Most folks don’t work just to kill time, and no one ever said, you guys are paying me too much. With that in mind, it is important to know the etiquette and the ever-increasing legal landscape of talking dollars during the process. Before going into any interview situation, you should know your worth and have an idea of what the market will pay for the position you’re applying for. Also, have a few reasons in mind of why you are worth the number you’re requesting. If you don’t start out with a solid reasonings of what you’re worth and why, you may accept any number offered to you, leaving you dissatisfied in the end. In recent years, several states have made it illegal for employers to ask about an applicant’s salary history. If an applicant has experienced pay discrimination in the past, or was simply underpaid, they don’t want their previous salary to undercut a current job offer. Knowing the laws in your state may help you navigate this dilemma.